Last week, I attended an event with TD all about affording extracurricular activities throughout the year. It was timely. With back to school less than a month away, many of us are getting ready to register our kids in programs this year. There are several ways to make sure first your kids are in the right activities for them and then to afford those activities. I knew for us last year it was about affording karate, this year it is all about dance. Did you know that half of Canadian parents with children under the age of 18 limit the number of, or don’t sign their kids up for, extracurricular activities simply due to cost according to a recent TD survey on affording the school year? There are many ways to save on extracurricular activities. It does not have to be a drain on the pocketbook. According to that same TD survey, four in ten parents spend more than$1000 per child on extracurriculars and half of those find budgeting for it stressful. That stress can be taken away many times. Really! Here are my five tips. You want to make sure you have the right fit. Ask your kids what they want to do.Hold them accountable to a degree but make sure those weekly outings are fun for them and you. I know I pulled my daughter for one when I saw bullying. From that, I learned to research and do my homework. I needed to know my daughter and her needs first and foremost. I also needed to check out the activities. I have learned that my teen needs downtime. She needs that time to unwind. Most kids do. For us, family time to chill together has become sacred and in that downtime, we have played and learned together, and that has been awesome. Here in Toronto, I am amazed by the number of free programs that exist. I have talked about them here on my blog each season. From free skates and swims in the winter to free summer camps and drop-ins, there are many programs in this city that have no cost attached to them. When my daughter was younger, we especially loved the programs put on by the Toronto Library. In cities across Canada, there are free programs you can access. Check out the Parks and Recs programs in your city. As well check local blogs and groups. They often share free activities going on around you. It is easy to blow a budget when you don’t know the costs. At the event, TD spoke about when signing your child up for an activity to think about all those little costs that will add to the fees you are shelling out. Remember to check out those extra costs.For my daughter andI, we created a budget for each season and checked it to make sure we were on track. It’s a great way to teach them about budgeting. TD also spoke to being able to find so many bargains and deals on equipment and gear instead of buying new equipment. We love consignment shops and even garage sales for this. You can also find groups online in your local community where you can exchange gear or buy it for cheap. We love finding gently used items. Whatever you decide to do with your kids throughout the year remember to think about what is important to you as a family. Think about it. Is your child enjoying the activities they are participating in? Are you stressed out just to get there? Stop the insanity. Make sure things are fun and bringing you joy. As TD highlighted that evening, it’s about the return on enjoyment. The TD event had two wonderful speakers who shared tips for affording the costs to tips on picking the right activities for your child, and many of the words they spoke were things I have echoed over the years. Simply, make sure you and your kids are having fun and it isn’t draining your pocketbook. *This post has been sponsored by the TDand I have received compensation for it, but as always my opinion and thoughts on the topic are my own. Every once and a while I get asked how I became the Common Cents Mom. What made me frugal? What made me a deal hunter? Truth be told it was becoming a mom. When my now teen was born, I was homeless. Yes, homeless and I had to restart my life. I quickly learned how to stretch my dollar and look for deals. I learned every money saving tip and technique I could they have come in handy the past few years as my nieces began giving birth. Babies are expensive, so I will pass on my frugal tips for the new mom just like I did with my nieces. Ever gone to a store to get one thing and you end up with 12 as you browse the aisle and you don’t even really need some of the stuff in your court? I know I am guilty of it. Here is a well-known secret I am going to share with you, with a bit of planning you can ALWAYS have the best price. Sales cycle. Did you hear that? The average time between great sales on items is normally 6-8 weeks. When it is on sale by enough to last until the next sale. As well, since we are talking about being a new mom, do not overbuy, they grow quickly! Anyone who knows me, knows I love Flipp. I was there very first brand ambassador. I am still a brand ambassador for a reason it helps families save time and money. Any app that does that can be my best friend! If this is your first time reading CommonCentsMom I have a couple of favorite Flipp posts you can read to learn more about the app here , but let me tell you it is available on both iOS and Android, and you will love how easy it is to make a shopping list and check your local flyers for the best deal in town that day! Call me crazy, but I think that is great information that can help any new mom save money. I do use other apps to earn cash back on a regular basis. Who doesn’t like getting money back on items they are already purchasing. I use Caddle and Checkout 51 on a regular basis. This week on the Checkout 51 app you can earn $3 cash back on Pampers Cruisers, Pampers Swaddlers, Pampers Easy Ups and Pampers Wipes. You can also earn $2 cash back on Pampers Baby Dry. Ever watch Extreme Couponing? Well, learning how to coupon is pretty easy, and when it comes to being a new mom, there are plenty of coupons available. You can check coupon sites for coupons that can be printed or mailed to your home. Are you on social media? Follow your favourite brands and you can also often get special coupons just for those who follow them. Right now, get $1-$3 off Pampers products at pgeveryday.ca and pampers.ca. You can also find coupons in store on shelves. Ever see those? I do all the time. I was told there are save$3.00 when you buy any ONE Pampers® Easy Ups or ONE Pampers® Wipes 320ct or higher at Loblaws, Real Canadian Super Stores and Shoppers Drug Mart (coupons available in-store while quantities last.). Combine a coupon and a cash back offer and you save even more. Yes, you can do that! One of the things most major retailers are doing these days is rewarding loyal customers so are the banks. When you shop with a cash back credit card or rewards credit card you are earning rewards or cash back. I prefer cash back. I also have friends who prefer travel rewards. When you shop always have at least one card ready for you to collect cash or points that can be redeemed for goods. Did you know you can even double dip? An example fo this shop using your Airmiles Card and a credit card that collects rewards or cash back and you earn twice. You do not want to leave those dollars sitting with the banks and retailers. There definitely are some easy ways to save money when you are a new parent and I hope these tips help you. Let me know of any others. Disclosure: Disclosure: I am a Pampers Savings ambassador. As part of my affiliation with this group, I have been compensated to share deals and test diaper subscription services. The opinions on this blog are my own. Sometimes when things are stressing me out like they have been this week, I find giving to others lifts my mood. Ever felt like that? I know for me when life is busy and stressful that pause to help someone else ends up helping me. When I pass on a bit of encouragement, give to others, it soothes my soul. Often as we think of things that would lift another we think BIG but it is often those small gestures that make a world of difference. Blessing someone in small ways is something you can do even on a very limited budget. Here are some simple ways to bless others and I promise none of them break the bank.A Smile and A Hug. Sometimes people don’t like hugs. My daughter for several years was one of those people even, but a smile even can go a long way. For those that do enjoy a hug, there is nothing better than a real hug from a friend who cares. Smiles and hugs are free and are good on the budget. Often as we text back and forth we are usually in a hurry, getting quick information and that is ok. My friend Yvonne though is great; she will often send texts to a group of her girlfriends letting us know she is thinking of us. I always smile after one of her texts. One of the things I love to receive are handwritten notes. I also love to write notes. It is one of my favourite ways to surprise a friend with a note of thanks, thinking of them or encouragement. Often I will pick up cards at the dollar store so I always have some on hand but I have also been known to splurge on some real cute ones from Hallmark as well. Ever been sick and someone brought you a meal? Ever been having a rough day and someone do something small, like surprise you with a cupcake from the place down the street? For me sharing food whether it is a meal or simply some cookies I baked means I do want to make them smile with something tasty. We all love good food after all right? I know my life is busy right now as I am job hunting and getting my daughter to all her end of the year activities but that is no excuse for not listening. When was the last time you sat with a friend and really listened to them talk about something that was on their mind? Often people just want an ear that is actively listening. I know these are just five simple things that we can do bless someone else, but as I said earlier, sometimes the little things have the biggest impact. Tell me how do you like to give when money is tight? Here in Canada, summer begins this weekend. Road tripping can be a great way to save money on travel, but there are a number of costs both obvious and hidden that can derail your budget. Want to save big on your next road trip? Follow these tips and you will. Road trips for one are no fun. Share your expenses put traveling with friends or family. You can save on fuel, while sharing the cost of accommodation allows you to gain access to a hotel room, large rental house or condo at a lower cost per person. When it comes to attractions and entertainment, you could also benefit from group entry discounts. Life is better when shared with friends and you save a bundle! There are a number of smartphone apps specifically designed to help you, many of which are completely free to download! Try using apps like Gas Buddy to compare fuel prices, you can use an app like Yelp to read reviews of places where you might want to eat. Planning a picnic on your trip? You can change your location on your Flipp app bringing you the flyers of where you are so you can find the best deals while on the road. Venturing off the beaten path is all part of the fun, but it can also leave you with few options when it comes to dining. In truly remote areas, you may be hard-pressed to find lunch outside of a rest stop vending machine. Bear in mind that these tend to carry steep prices and little nutritional value. As you start planning your journey, think ahead and locate larger supermarkets along the way where you can stock up on sandwich fixings and healthy snacks ahead of time. Remember with your Flipp app will have all the local deals making this a smart choice! Fuel is one of the major expenses on a road trip. In addition to using apps to find cheaper fuel on your route, the type of car you drive and your driving style can reduce gas costs. Remember to have your car in for a routine check up before you hit the road. No one likes to have to visit a garage they do not know. Once you hit that open road, remember use your cruise control and save as much as 35%. As well, avoid stop and go traffic, idling and blasting the air conditioning. When you’re working out a budget for your next adventure, you’ll undoubtedly factor in costs like food, accommodation, and fuel. However, don’t forget the smaller costs that can really add up over the course of a few weeks. Bridge and road tolls are commonplace in many countries, and if you’re visiting big cities you’ll need to cough up money for secure parking garages while you go exploring. Many national parks and campgrounds also charge daily parking fees, so always try to have some spare change on hand. Visiting a big city? Once you arrive where you are headed, park your car and take the local transit, walk or bike. Most cities have places where you can rent a bike for a few hours or even the full day. I know this was one of my favorite things to do when I was in Vancouver. With all things considered, with planning and making apps your best friend you should have a great road trip. Over the years one of the easiest ways for me to save money each and every week was to menu plan. For me menu planning makes common sense. Have you ever menu planned? do you do it now? For years I was a regular weekly menu planner but then I got busy and well I often found myself simply designing a meal last minute from whatever was in the house. This is not always the best bet especially if you are trying to eat a healthy well balanced diet. So what am I doing now? How can one use menu planning to help them save money? Most of us are last minute meal planners and I can’t tell you how many nights I turned to my phone and ordered in simply because I didn’t like what was in the house. By knowing what is ahead you save money on ordering in, make less trips to the grocery store and you actually eat healthier meals. For me that is a win. For me I start with taking a quick look at my favorite Pinterest boards, my cookbooks, and my Flipp app ( it is a great app that puts all my flyers on my mobile device), I clipp what I want to cook that week, grabbing the best deals I can on fresh and frozen items. I do also check my Checkout 51 app and my Zweet app to see which coupons are available as well that week. I also make sure I check my fridge and cupboards to see what I still have on hand and what items I may need to add to my shopping list. This way I both make sure the leftovers get used up and that I am not missing any ingredients when it comes time to make my dish. Now in the store if I do spot a really great deal, I can sometimes substitute for a more expensive item on my list. Got to love a great managers special just make sure you aren’t over buying. After you get home, have your meals planned post it to your fridge, that way you are always ready. By menu planning you cut your overall food costs and often you eat much better. Let me know do you menu plan? If you need more tips or want to read some great blogs that participate in Menu Monday head over to my friend Laura’s blog. She has been hosting a great Menu Monday round up for years now. Hard to believe Thanksgiving is just weeks away. Can you believe it? Its time to start thinking about my favorite meal of the year! I love Thanksgiving. As fall approaches I start to get ready. I have several fall traditions that help me to get ready to celebrate Thanksgiving in style and on a budget. So how can I help you save time and money on your Thanksgiving Dinner. Follow these simple tips and well your thanksgiving meal should go off without a hitch and the side benefit, you will not break the bank. 1. Use Natural elements for or Decor. Have kids it the family? Go for a walk gather pine cones and leaves four your Thanksgiving table. When Rachel was younger we always did this, infact you will find pine cones we gathered on my table today. 2. Use the 1 pound rule. Think about it, how big does that Turkey really have to be. One pound of meat per person is sufficient, especially if you have no plans for the leftovers. Another thing to think about is do you need more then one type of meat? When I used to go to my grandmothers there was always turkey and ham, do we really need both. Have you checked the sales flyers yet? Stock up on the loss leaders that you need to make your Thanksgiving dinner a feast. Use apps like Flipp in store to save you time and money, a simple search means you always have the best price. Have a gang for Thanksgiving dinner? Why not assign them to bring a dish. Guests are great for bringing sides, salad and even dessert, that way everybody has a hand in the meal prep, which saves you time and money in the kitchen. 5. Balance expensive and frugal sides dishes. Did you see that sale on carrots at No Frills this week? A nice glazed carrot, and a sweet potato pie goes a long way at Thanksgiving. When it comes to dessert can it be a cupcake or pie, instead of that trifle? Follow these simple tips and you will be saving time and money on your Thanksgiving meal. We will be talking all about this topic for the #cdnmoney chat tonight, October 23rd at 7pm est on Twitter. Follow the hashtag, @christachips and me, @commoncentsmom and join the conversation. When planning for a remodeling project, many homeowners’ dreams come to a halt when they start to run the numbers and develop a budget for the project. Suddenly the imported tile, European-style lights and luxury shower are put on the back burner in favor of more practical and affordable selections. However, you can have your dream bathroom and stay in your budget — if you make some important decisions starting the project. In fact, by addressing three key issues, you can create a budget that allows you to have both your dream bathroom and some extra money in the bank. Even on brand-new construction projects, things rarely go as planned. Materials are lost or damaged during shipment, an installer makes a mistake that leads to delays or the color isn’t right. So it’s unreasonable to expect that a remodeling job on an existing room will go exactly as planned. It’s not uncommon to begin the demolition process only to find water damage or other problems (you had no idea there was a nest of bats living in your bathroom exhaust fan!) that have to be dealt with before the project can continue. Water damage is the most common problem when working on the bathroom, simply due to the room’s nature. It doesn’t make any sense to install new materials in a room that has mold, mildew or rot. Because the unexpected is inevitable, add at least a 10-15 percent cushion to your budget to cover the expenses related to replacing a damaged subfloor or replacing the toilet you hadn’t planned on. Expect the unexpected and you may be pleasantly surprised when you find you have a few thousand extra in the bank when the project is done — or relieved if it’s there when you need it. No, you do not need the $7,000 toilet or the $4,000 showerhead. Unless you are Donald Trump or Kanye West, you probably can’t afford those fixtures anyway. those where you can splurge — and plan accordingly. For example, toilets that cost a few hundred dollars are as attractive and functional as more expensive models, so choose a water-efficient model and devote more money to a high-quality vanity that offers plenty of storage and a durable countertop that will withstand years of use. Save money by choosing basic finishes that are attractive instead of custom finishes that double or triple the cost. Pay more for high-quality tile that’s attractive and well-made. It may be to try to manage your bathroom remodel yourself and tackle the bigger projects on your own to save money, but going do-it-yourself when you aren’t qualified to can cost you more in the long run. There are some tasks you can tackle yourself, but for major construction jobs or anything involving plumbing or rewiring, you’re better off bringing in the pros. Not only will the job be done right, preventing costly future problems, a professional will help your new bath look its best, even if you aren’t using the best materials on the market. For example, an experienced tile installer can make even low-priced tile look great, while even the most expensive, top-of-the-line tile will look terrible if it’s installed incorrectly. To properly budget for professional help, get estimates from several contractors in your area. A contractor can help you manage the myriad professionals who are involved with the typical bathroom remodel, including plumbers, electricians, carpenters and flooring experts. Meet with at least three contractors, but don’t hire based on price alone. Check references and confirm licenses, and carefully scrutinize the bid to ensure nothing have been overlooked or padded. Knowing exactly what you’re paying for upfront will prevent unpleasant surprises and budget overruns down the road. Budgeting for a remodeling project isn’t always a pleasant task, as it often brings with it a jarring reality check. But by knowing where to spend and where to save, you can still have the bathroom of your dreams and know that the job was done right. About the Author: After remodeling three houses in the last 10 years, Laurie Littlefield knows exactly where to spend money and where to save it. There are gremlins that come each and every holiday, that are seeking out the dollars that are in our wallets! So how do we keep those money gremlins at bay at Halloween. How do we have a frugal Canadian Halloween? 1. Plan your spending like your would any other expense. Have you budgeted for Halloween? 2. For costumes check for freebies: take advantage of sites like Freecycle, Craigslist, and Kijiji. Start looking at these sites in November for next Halloween. Keep your eyes open for freebies. 3. Shop your closet! When I was young we always made our costumes from things that existed at home. Some of my best memories are in those costumes. 4. Thrift It: Value Village, Salvation Army, or your local thrift store are great places to concoct great costumes. 5. Decor wise: reuse, recycle, thrift or dollar store it. We reuse our past supplies, and grab the few new musts (cobwebs is a new buy every year as are candles both for us) come from a local dollar store. Gravestones were made from cardboard, and past decorations are used. 6. With a little bit of time you can plan a costume swap in your neighborhood. Each year your child our grows their costume so why not set up and neighbourhood exchange and your kids can get something that fits them? 7. Talking of costumes what is the cheapest one I can think of? After seeing so many Zombies walk by me downtown this weekend I was quickly reminded how quick and easy it is to assemble one. Got something old in your closet, something that is ready for the donation pile, tear it up a little and there you got your zombie. 8. Are you a crafter? Check for coupons for your favorite craft store. I know Michaels had a 40% off coupon on one item this week. Definitely would help if you are the creative sort. 9. Dig the deal sites? I have even notices some of them have had Halloween deals. I love sites like that aggregate the deal sites. Deliver the Deals is just one site that does this. 10. Like to have a Halloween menu ..check out some of these creepy items your can find on Pinterest. 11. Check for coupons and sales when it comes to candy. I love sites like Grocery Alerts where I often check for coupons and sales here. 12. Make pumpkin carving an event. Some of my best memories are of carving together.This is an old fashioned staple that every family loves. 13. Shop the after sale. Don’t forget after Halloween you can get some of the best deals for next Halloween. We all can make money mistakes, and over the years I made more then a few of mine but by learning the budgeting basics I was able to learn to really take control of my spending, and money habits. There are simple must do’s when it comes to budgeting. This is what I did, what I learned and what I am continuing to learn along the way. You need know what is coming in each and every pay, and what is going out. Keep every single receipt for at least 3 months, I was in a hurry to get started so I cut this to a month. Some days it was hard, who wants to write that tea down, or collect a receipt for something cost less then a toonie, but I did it. So gather then record each one. I was just getting into Excel so I did up a spreadsheet just like a friends dad had. I also bought a notebook from Dollarama so I could track those small silly purchases. Once you have them all you will find several patterns. You will find there are fixed and variable stacks of receipts. Separate them into piles that make sense. Variable Income- work and blogging income fell into this one for me. Rent, Cellephone, Cable, Transportation were mine. Clothing, Medical, Food, Grooming, Allowance, Entertainment, and Charity were mine. Notice Savings was not even in the picture. Take a look, a good hard look at where the money went. Look through the piles. Check out each receipt. What are your habits? Where could your make changes. This is most likely to be found in your variable expenses. Do you eat out 5 days a week? If yes by brown bagging it just half the time, think saving. Look at each stack, where there ways you could of saved yourself some money? Think about it. Look for at least 2 ways you could save. I am not asking you to make big changes at the beginning. I found when I took on too much at once I set myself up to fail. I don’t want you to do the same. Now you know what you have been spending set out how much you want to spend in each category. For me I set a line in the sand for certain categories that I will not go over no matter what. Ie I have a strict budget for entertainment and once it is gone, we are looking for free things to do. When it comes to things like medical though I know now that some months there will be no expenses and others well I need to be prepared for large ones.Do make sure you add savings to your budget on my initial budgets there was no spot for it. 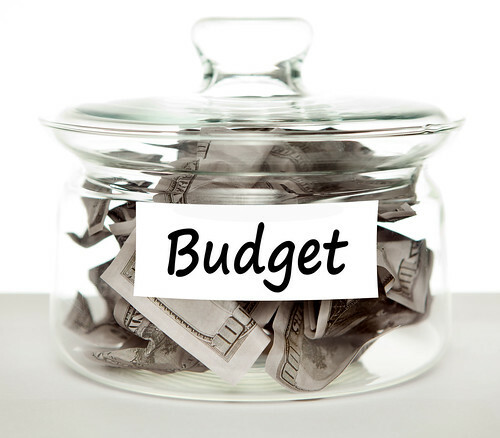 Use your new budget tracking as you go. If you do not spend what you have budgeted, great you save it. After you have used your budget for a couple of months look at it again, are there new ways you could be saving? Are there categories that need adjusting? Did you get a raise, change jobs, those are things that would require a relook at the budget. You should repeat this every few months. I am trying to do this, and to be honest some months I am not the best tracker, but I am trying and I will get there. What keeps you on track if you keep a budget? What are your simple must do’s? It is that time of year here in Canada, thanksgiving will be celebrated in many homes. Even though there is just my daughter and I we still celebrate Thanksgiving with a traditional meal, then I use the left overs in the week after. If you have ever planned a Thanksgiving meal, you know that it can get expensive. Thanks to a gift card I have to Sobeys this year I will be getting $20 off my turkey and that is a big savings for us. So how can we have a frugal Thanksgiving meal? Limit your selection of you main dish. Have the turkey, roast beef or ham, but cook only one. Not a selection unless you are feeding an army. At the same time choose the right size bird or cut of meat. One pound of meat is usually enough, that is unless you do have plans for all those leftovers. Balance your expensive and cheap dishes. Yams, potatoes, and carrots are all on sale this week, as is pumpkin. Think pumpkin pie, instead of say a trifle. Glazed carrots are yummy, as is sweet potato pie. Think what can I make with less expensive ingredients that will still taste yummy. Delegate a dish or two if you are having guests. Ask that they bring a salad, or maybe the dessert, or wine. Decorate with nature. We love using pinecones, gourds, and leaves. Take advantage of the sales flyers. Have you checked them lately? What loss leader could you use? Take advantage while you can. All these ways of saving have helped my daughter and I to have a frugal divine Thanksgiving meal. This works for us. I will be sharing this as part of Works for me over at We are THAT Family.